As we age, it is natural to experience changes in mobility, cognition, and lifestyle. Though many older adults uphold good health well into their later years, at some point nearly all of us will require some assistance—including the 90% of older adults who wish to remain living at home. Unfortunately, it is all too common for older adults to resist asking for help until a crisis, such as a sudden illness or fall, makes the situation become dire. We can set our aging loved ones up for success and enhance their daily life by introducing home care options well before a crisis hits. This can be as simple as one visit a week from a professional caregiver—that one visit can make the world of difference to your loved one’s health, independence, and outlook. We’ve listed 5 of the many ways home care can enhance quality of life and independence—especially when started before a crisis hits. Encouraging Exercise: One of the biggest mistakes we can make when aging is to stop moving. Leg and arm strength are especially vital in our ability to walk and lift ourselves up, and reduce the risk of falling. Professional caregivers can serve as a motivator for an older adult who tends to avoid exercise; encouraging a walk around the block, stretching to keep muscles loose, or a moderate exercise program can be essential in keeping them mobile and physically self-sufficient. Healthy Meal Prep: Shopping for groceries and preparing healthy meals can become a daunting task for older adults with limited mobility or motivation, meaning many seniors do not get proper nutrition. Professional caregivers can prepare meals with or for your aging loved one, to ensure they have balanced meals available. 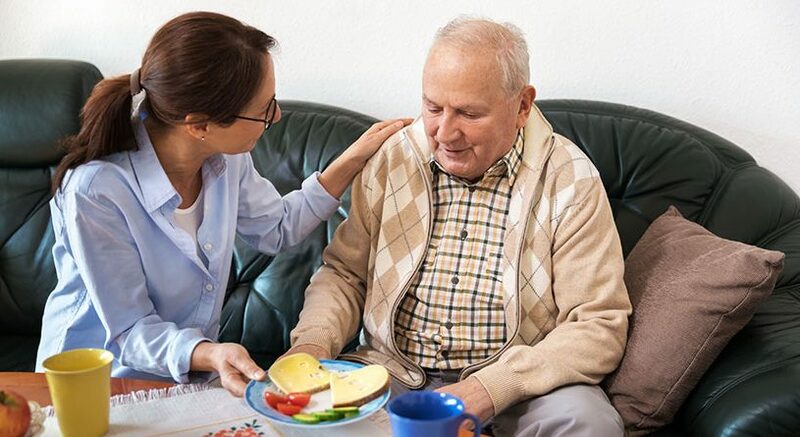 If needed, a caregiver can also monitor your loved one’s food intake to make sure they are eating these nourishing meals. Light Housekeeping: This is a task many of us don’t care for even on a good day, but it often becomes less important or difficult as we age. In some cases, a lack of housekeeping can lead to unsanitary or unsafe living conditions for older adults. Having a professional caregiver to assist in light housekeeping —such as dishes, laundry, and tidying up—helps create a sanitary living situation as well as a safe environment in which to move. Caregivers can remove obstacles that could interfere in pathways and could contribute to a devastating fall. Personal Care: For many health and social reasons, good personal hygiene is very important. Older adults often need some assistance dressing, bathing, or using the restroom, but may be hesitant to ask family for help due to the personal nature of these tasks. A professionally-trained caregiver is often a welcome addition to provide personal care services and ensure dignity for your loved one. As your loved one retains a level of healthy independent living, their outlook and confidence is likely to improve so that they can socialize outside the house and increase their mental and physical wellness. If your aging loved one is starting to need assistance with any of the five areas mentioned above, it might be time to consider hiring a professional caregiver. Starting home care early is often the key to enhancing quality of life for older adults, and can help avoid an illness or injury in the future. To learn more, call 844.243.4174 or contact us online today.